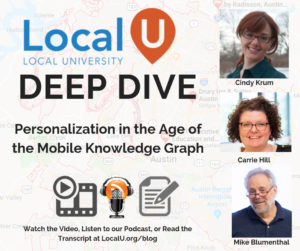 We are excited to have Cindy Krum of Mobile Moxie join Mike and Carrie for a discussion about personalization and the Mobile Knowledge Graph. This discussion will give you particular insight into how Google is using localization and personalization to influence what features show up in the search results and how behavior, proximity and optimization could influence them. We'd love to hear your feedback - so chime in on Social Media or by commenting below! Mike: Hi, welcome to Deep Dive in Local. 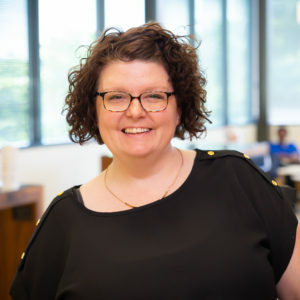 This week we have the privilege of having Cindy Krum, who is one of my favorite folks in Search and who focuses a lot on entity and entity search and has been following Google very closely. She just wrote the fifth article... Two things about her, one, she's going to be at Local U Advanced, February 6. So I would encourage you to come listen to her speak and to pick her brain which I guess it would get messy kinda like picking my brain, you know...actually, wouldn't do that. But you can ask your questions anyways. And the second is, she just finished a very interesting five-part series on entities. And the most recent article was titled "Entity and Language: Query language, phone language and physical location," which speaks to a question that I've been thinking a lot about, which is the difference or similarities between personalization and localization and how...as Google is moving towards more knowledge graph type answers and position zero answers in search results, how that all plays out. So maybe you could just broadly cover this question of what's personalization and what's localization and how are they different or the same? Cindy: Yeah. So in general, it seems like Google is trying to localize results, especially for business results, and map packs and stuff like that. And that's based a lot on physical location. So it's... in mobile, it's super important to mobile, because different from a desktop computer, mobile phone is generally sending a GPS location that's pretty specific. And actually anymore now, desktop results are informed often by where the phone associated with the Google account is, better than where the computer is. Mike: And just to get to the historical context to that...oh, getting some feedback, just give some historical context is the idea that in 2010, 2011, 2012, Google was starting to change results very much based on search history. And they have moved away from that strategy towards changing results based on location, sort of, with the advent of the smartphone, the advent of the knowledge panel, all these things that fundamentally change how they provide unique results in a given search. Cindy: Right. And they say, you know, this is for everyone's benefit. And what we were talking about earlier, is this gets them out of a lot of legal hassles. If they're saying they're localizing not personalizing as for instance, GDRP, you have to get all the permission and stuff like that and it's just probably more hassle than Google wants. So they're saying that they localize more than they personalize. What I find interesting is, I think that they're kind of redefining localized to include personal preferences about local elements of a search, for instance, language. And that's what we covered in that last article that you mentioned. We talked about how do various settings on a phone, in a Google account throughout kind of the digital universe, how do those impact what kind of a search result you get and especially how do they impact Knowledge Graph? And what we found was that one of the strongest settings you have for language other than going into Google in the search, at the bottom of the SERP and changing your search language, next strongest signal is the phone language that you set in your operating system on your phone. Mike: ...where most people aren't going to go to the search result and set a language preference. Cindy: Exactly, exactly. So only if you're an SEO, do you even realize that there's a footer at the bottom of Google, because most people stay at the very top. So most people aren't setting their search language setting. But everyone is setting their phone language setting and we found that that's an incredibly strong result. And that, in fact, Google is translating Knowledge Graph results on a dime to meet the phone language settings. So your query can be in, let's say, Greek, but if your phones language setting is in German, then the knowledge graph is going to be in German, the stuff below might still be in Greek, but the knowledge graph is going to be in German, because that matches your phone setting. Mike: So the organic results will stay in the language of the search, but the local knowledge panel or the zero results will be translated, correct? Cindy: Right. Because that's part of...the goal with knowledge graph is to make the Knowledge Graph language agnostic, right? So the example we give in the article is a movie, "Guardians of the Galaxy." Regardless of what language you're watching the movie in, it's the same movie, regardless of what language you're searching for the movie in, it's the same movie. It may be translated, it may have subtitles, but it's the same thing. And so if they know this movie, then they can know the cast and the characters and the actors and things like this. And they don't have to re-learn that for every language, they just watch once, translate the summary blurb to meet the needs of the user. It saves them a lot of time and effort of doing everything in every language. Mike: Do you think they do this translation in real time? Or do you think it's sort of cached with last result sort of quasi real time? Cindy: Well, at first, I assumed that they were using the Cloud Natural Language API to do the translation and that they wouldn't be doing translation for smaller languages. But we've proved that that wasn't true actually. We think that rather than using the Cloud Natural Language API, they're either using the Cloud Natural Language API for movie translation and then the Google Translate API for other translation. Because we found there're only like 10 or 11 languages that are handled in Cloud Natural Language. And that just means Google believes that they understand those languages natively. The other ones, other languages [inaudible 00:07:04] 11. Google is still doing this, so we did like test with Bulgarian. And even so, Google's translating the Knowledge Graph into Bulgarian. So I think that it's on the fly. I don't think that they would bother necessarily. Maybe they're translating it and caching it, but probably only after someone searched for it, right? They wouldn't translate the entire web or even the entire Knowledge Graph if there wasn't demand. So maybe the first time someone searched for a specific word, they do the translation, they cache it and save it in case, you know, more Bulgarians search for it. But they're probably not proactively doing it. Cindy: And the translation's so fast. Mike: So recently, Google added a new layer to the Knowledge Graph called the topic layer. So do you anticipate...so it was people, places, things and now topics, right, so sort of relate between all of those other elements. Obviously, topics seems to me an indicator or future direction that more and more, what are now organic results, will be answered by topical Knowledge Graph results. Do you think that's accurate or are we seeing that now? What's your thought on that? But that's kind of its way of exposing the Knowledge Graph to you, it's saying, "We know what Mexican food is. Let us show you, you know, how we know where it fits into the world." And so absolutely, I think that topic layer is knowledge graph. And from a local perspective, there are still topics. So just because there's people, places and things and a business might be a place, that's just that one business, that one entity. But there is a different layer where, you know, Johnny's Pizza Shop is one place but best pizza in Denver is still a topic. And so that might get carousel or something else. Mike: As would branded goods. Nike shoes might be a carousel or a local pack of businesses that Google knows is carrying Nike shoes. Mike: Introduction of the product features in the knowledge panel, as well as other sources, reviews and global Q&A, it becomes clear to Google, how these brands relate to these local places. So you could have this more even complex view best...sporting goods stores that carry Nike shoes. Cindy: Exactly, exactly. But that's something that I think Google hopes to decode and figure out that I think, eventually, my vision since the beginning on mobile first indexing is very different from everyone else's. But my vision is that mobile first indexing is all about ingesting old school organic results into the Knowledge Graph and finding out where they belong and what are the relationships between the data in the old index/the same index and re indexing it, how it fits within the Knowledge Graph. Mike: So you are seeing...I think you mentioned in this article that you're seeing even some queries where they provide two or three answers? Cindy: Yeah, some queries where they provide two or three answers or you're getting people also asked and the answer is already in there. So Google is tying together... I mean, that's a clear representation of the topic layer too, because it's saying, I know that these questions are related to what you asked and so these answers are also related to what you ask. And then these might be either your next question, or they might ask the question better than you did and then have a slightly different answer. Carrie: So instead of waiting for the user to refine their own question, they're offering refinements almost trying to steer the user down a path. Instead of them having to work harder reacting to a user's refinement, they're feeding that refinement to the user. Cindy: Absolutely. And if you think about how a voice query works, which is going to be super important as more and more people are using Google Assistant integration and maps, right? So think about how voice queries work, they're long, they're echoey, sometimes you have bad audio, you have kids talking in the background. What Google cares about is giving you an answer that has the main keywords you included, and kind of getting rid of the noise. So if I ask, how do I re-heat day-old pizza or something like that, it has re-heat pizza, right? And it's maybe getting the how to, may be getting the day-old, maybe not, right? But as long as it gives me an answer that has reheat and pizza, I'm happy. And then it's taking the chance that it didn't get it right, it's hedging it's best by showing me the other questions. Mike: All right. So how do you see this as affecting our understanding of local search and how we should be changing our behaviors to adapt to this? Cindy: Well, for local search, I think at this point everyone doing local needs to be testing things with the Google Assistant to see...just to get familiar with it because I think the integration with maps is going to be huge. And it's important to understand that Google needs efficiency too. That Google, even as big as a company as they are, they do have limited resources. So part of mobile first indexing is saying, we can't redo everything twice, once for desktop, and once for voice and again, for whatever else, right? They're trying to make this unified thing where things need to have a traditional result with visuals and interaction there. But things need to...anything that's in the top of that, is going to be eyes-free capable or voice-only capable, right? It's going to be something that Google can read. And so from a local perspective, know that so much of local search is mobile, but that it might be someone driving again and again. And you know, we've talked about stuff like that for years but only now is it really becoming a reality where you can interact with the phone and say, "Okay, I'm looking for Nike shoes. Is it open? Can you have the ongoing conversation?" So it's still about schema and marking up the answers to the most difficult questions but also knowing that there might be a reader reading it to you. So you know, things like not putting the trademark symbol in, if the trademark symbol is going to mess it up or... Stuff like that is going to be interesting to see. And then knowing that Google is trying to prioritize without personalizing, but they're trying to prioritize things that they know go alike. So for instance, I know you guys have seen the pulling in you recently searched for. So if you're restarting a search that you started before, I think that's going to be a big goal for local. Mike: And how do you see this new For You preferences graphic that's showing up in restaurants and maps now? And we're seeing it occasionally on the desktop, which means it's probably going to be going everywhere. How do you see them generating? If they're not using demographic information, how do you think that they are generating the likelihood that you have a 95% chance of liking this first ranking one or this second ranking one and 88% chance of liking the third ranking one or whatever? How do you see them as generating that degree of...it's not personalization, it's sort of a recommendation, I guess? Cindy: Exactly. It's personalization without being just for you, right? So it's such a thin slice, I think, of the definition of what is personalization and what it's not. So I think that rather than that being based on cohorts... I mean, it could be based on cohorts, and then it's not personalization. I think it's more likely based on your own personal behavior. I love stuff that David Meme talks about, what restaurants do you go to a lot? What stores do you go to a lot? Does this one have similar qualities? Cindy: So you're your own cohort. Cindy: No, I think you're thinking of it exactly right. Cindy: Yeah, that could be but it brings up an interesting point, because I misunderstood you when you first said language. But did you know when you travel to another country where the primary language is something other than English, they're translating local reviews of restaurants into your phone language? Mike: Right. Yes, I've seen that. Having just come from Vietnam, we saw it a lot, yeah. Cindy: Right. And I think most SEOs either don't realize that's happening or don't understand why or the power of it. But I think it speaks to what I was saying earlier about the knowledge graph, is that it makes knowledge graph language agnostic. Then there's this entity business, right? A place. And then there's all these modifiers that can be in any language, but it's already parsed the language for the keywords, it's parsed the sentiment, stuff like that. So that totally could be it. Mike: Right. Yeah, so I mean, they've done that with GMB. You see it quite clearly with their categories, they have a GCID, which is a Google category ID, that's a two-word with a dash, it's in English, but that's translated to every other language. And there's 4000 of those and you can see the translators so...the translations. So again in business, it might be called a solicitor in the UK, it might be called an attorney still has the same global category, but it gets presented differently in different languages. So you're saying they do the same thing with reviews and the description question? Cindy: Potentially, other stuff in the future. Like, why would they stall up there? I don't think they are. Carrie: Mike, do you think that what Sergey was talking about how the review...what you talk about in your reviews can kind of create that connection? There's a lot of people who mentioned other places in reviews, like if I liked the Mexican food at this place, but I didn't like it at this place, I might say, you know, "La Hacienda is way better than this place" or "The burritos at Tequilas are much better than La Hacienda" or something like that. Would that be like maybe how that would influence? Cindy: That's me and Hacienda by the way. But I think that you guys are totally right. It's amazing and I just...I really feel like a lot of people are missing the depth of what's going on in the background. And I think that Google is only exposing part of what they're capable of here. Mike: Right. I think some of that goes back to this question about, they're only exposing what they're capable of because they don't get their hand slapped in a GDPR type world that we're going to be confronting this year. Cindy: If you publish a review, and then...since it's public information, does that count as private or not? Right? That's another thing where I would say it's still personalizing but maybe Google would say, "No, you've committed something to the public knowledge and that's not personalized anymore." Mike: Exactly. Well, I think that's the argument they would take. You're exactly right, it would be very self serving. Carrie: If you could argue the other side, I have control over that, I can delete it. And Google's giving you that control over it. So is that them admitting that I can control that content and not them? Mike: Oh, you own that content, you have the copyright to it. Google does not own the copyright to reviews, you do. Cindy: And if you delete it, then they'll stop using that one review to tell you how much you like this other place probably. But it still...that's personalization to me. Mike: Right. It's some weird variation of it, though, right? It's not based on my private search history [inaudible 00:24:31]. So final question for you. So David Meme and I have been writing extensively about Google as sort of the place in local where most conversions are occurring. Some of us see this as a double edged sword. 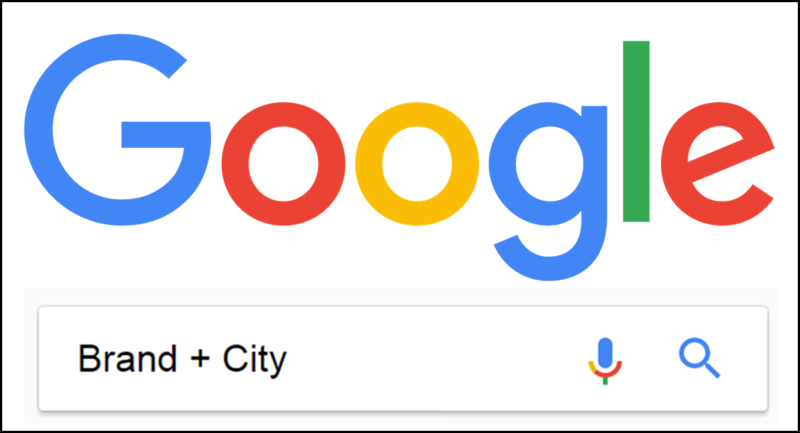 Google has become the monopoly in local, 95% of local leads are probably coming from Google worldwide. And the more data you give them, the broader reach you will have. You'll still get some web traffic out of it but the bulk of the conversions becomes quite clear. Google is hoping at least on simple decisions, like, "How do I call the pizza shop? Or "Do they have Nikes? Let me go there, get driving directions." Some of the simpler sort of purchase path, Google is looking to fulfill those completely out of the Knowledge Graph, out of that zero result, out of the knowledge panel result. So it's a double edged sword though, right? I mean, is it a deal with the devil to give them all of your inventory so that they know what brands you carry or is it smart marketing? Carrie: And there's the potential for them to crawl something that's wrong as well, like, an old phone number or old address or something like that. Whereas if you can feed them the correct information, via GMB there's no harm. Cindy: Have you seen the organic results ranking with any GMB listing, they'll say from the web, and you're like, "Oh, that used to be [inaudible 00:26:54]"
Mike: Yeah. So Rand being surprised that Google has broken the compact with SEOs and is no longer sending traffic to local websites isn't really a surprise to those of us in local, right? I mean, this is the way Googles are doing it. Cindy: On SERP SEO. And as much as I love Rand and I love, you know, what he's talking about, that's what I've been talking about from a mobile perspective for years on SERP SEO because I'm like, you can't guarantee the click. And, you know, you definitely can't guarantee engagement in the website in mobile, especially if it's not mobile optimized. What you're dealing with is the pretty stuff at the top and how do you get into the pretty stuff at the top? Mike: Right. Great pictures, a lot of data, great scheme on your website, all the standard stuff we've been talking about, right? So any final parting words of wisdom for the local search audience? Cindy: If you don't mind, I'm going to do a quick plug. 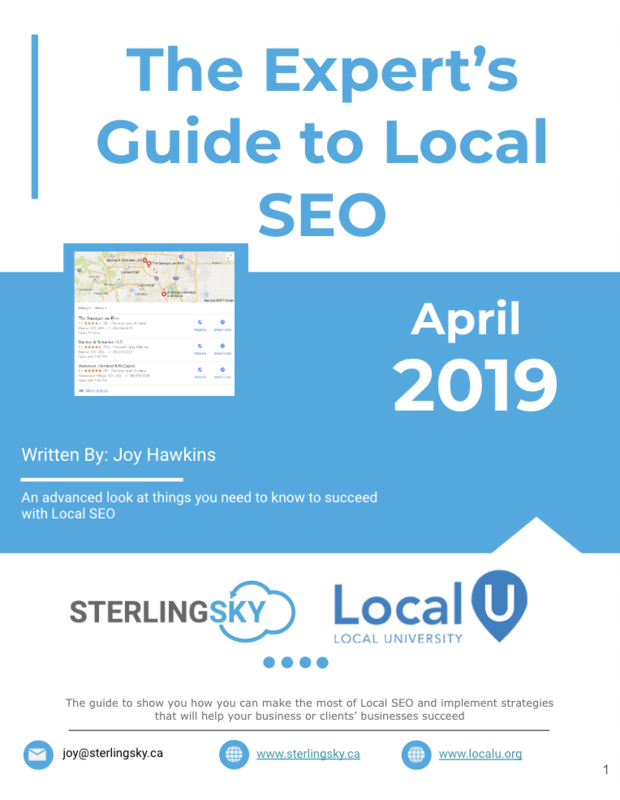 And that is, if you're doing local SEO at scale, one of the things I've been saying a lot on stage is a picture tells 1,000 words. And so we have a bulk address uploader in our tool set where you can upload a CSV of 100 addresses and they can be anywhere in the world, it doesn't have to be U.S. and test them all on the same keyword. So it's like standing at this address with a phone [inaudible 00:28:21] in an iOS or an Android device. And then in the background, it'll run and you can click through and see what's ranking when you're standing at that address from anywhere in the world. So like the stories of people walking around their neighborhood, searching to see that, you don't have to do that. And then we're adding the radius tool soon. That'll be live, hopefully, in the next month or so. But, you know, local SEOs know but not everyone knows. You have to do the search with the specific GPS location and doing a nationwide search just is pretty much not helpful anymore. Mike: Right. Well, thank you very much for joining us. I look forward to taking you out to dinner, sharing a drink, and listen to your talk in Local U Advanced, February sixth. Mike: So for those of you who can join us, please do. Thank you very much for joining us today. And thank you, Cindy, for taking the time.